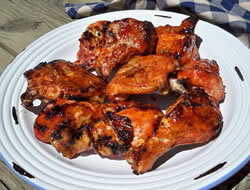 When it comes to outdoor grilling, RecipeTips.com has you covered. 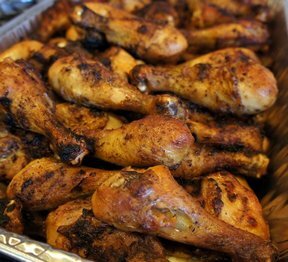 We have delicious grilled chicken recipes for any occasion, as well as an extensive collection of grilling knowledge: thorough, accurate, and generously illustrated. 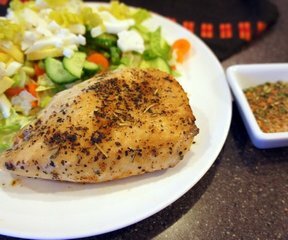 "Choose from a variety of grilled chicken breast recipes for a quick entrée or grilled chicken wings for a hot appetizer. 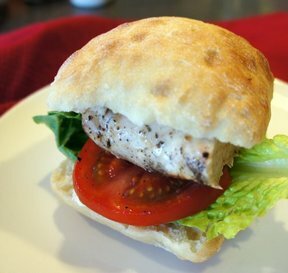 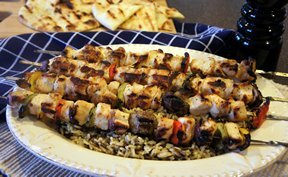 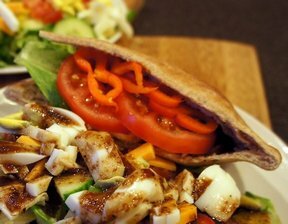 Maybe you'd prefer a great tasting grilled chicken sandwich or a grilled chicken kabob? 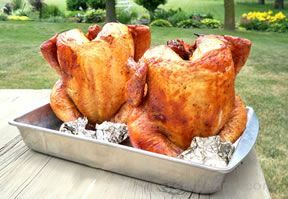 Or, how about a grilled turkey tenderloin or even a whole grilled turkey? 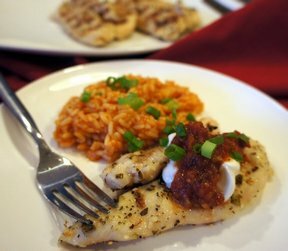 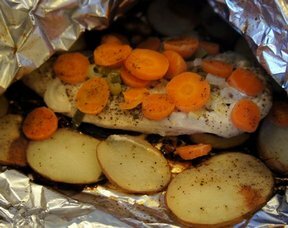 RecipeTips.com has it all. 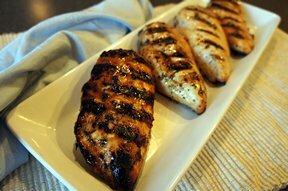 Our valuable "how to" advice will guide you through the grilling process to ensure that your grilled chicken breasts are cooked to the proper internal temperature and your grilled Thanksgiving turkey doesn't become so overdone that it puts up a struggle when you try to carve it. 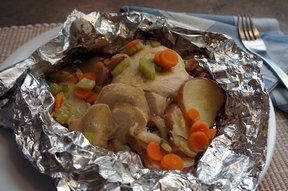 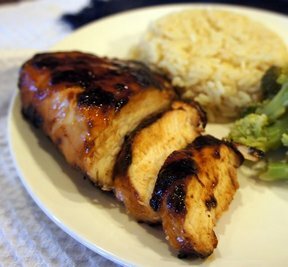 Whether you're looking for advice on types of grilling equipment, proper grilling techniques, or safety guidelines when grilling, RecipeTips.com has all the information you'll need for success when grilling poultry." 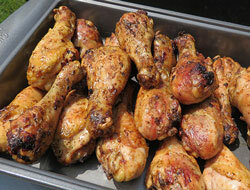 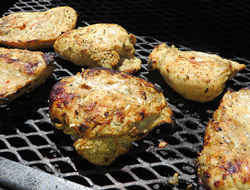 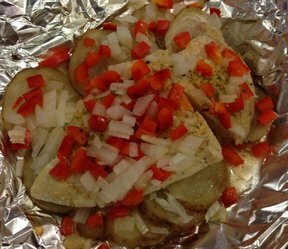 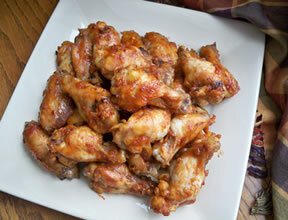 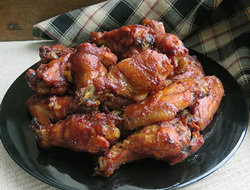 "We love grilling and chicken is one of our favorites on the grill. 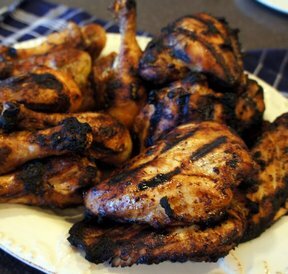 I am always trying new recipes so this group of grilled chicken recipes is just what I need. 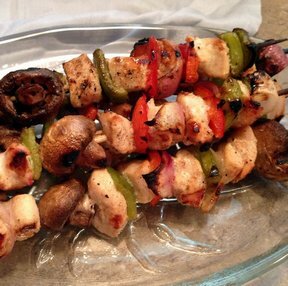 It is going to be a delicious grilling season!"